PREEvision is the premier tool for model-based development of distributed, embedded systems in the automotive industry and related fields. This engineering environment supports the entire technical development process in a single integrated application. PREEvision in a Nutshell: Get an Overview in less than 4 minutes! Consistent digital description of wiring harness data in PREEvision: Cavities, fuse boxes, fuse values and installation instructions can be elaborated in detail which facilitates the development of cost-efficient wiring harness designs. PREEvision 9.0 offers additional SysML and UML diagrams as modeling tools for functions, including those that will be deployed in service-oriented architectures. The PREEvision Server API enables the development of web applications to visualize model contents. PREEvision 9.0 offers an extended process support with mechanisms to review and vote requirements and other model artifacts. To facilitate cooperation within the organization and with suppliers, you can vote requirements and other model artifacts. PREEvision offers comprehensive functions for both classic and service-oriented architecture development and all aspects of an E/E system including requirements engineering, AUTOSAR system, software and communication design as well as wiring harness development. The integrated and model-based approach helps complex tasks to remain straightforward and controllable. PREEvision supports the tried-and-tested system engineering principles of abstraction, decomposition and reuse and can serve as engineering backbone: it enables parallel work on a common database from multiple locations. 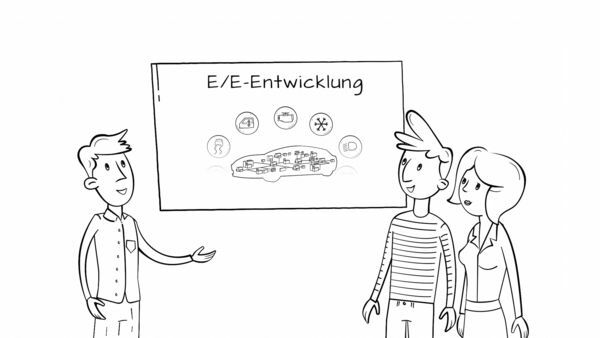 Electrification, autonomous driving, connectivity inside and outside the vehicle: The onboard electronic network has become the brain of today’s cars. The ever-increasing sharing of data within vehicles and to systems outside of the vehicle raises the complexity and makes the development of electric and electronic systems in vehicles, the so-called E/E development, more and more challenging. PREEvision is a model-based development environment, that faces these challenges, and supports the entire E/E development – from architecture design all the way through to the final wiring harness. Design and assessmet of E/E architectures and fast evaluation of design alternatives. Multidimensional criteria for success can be freely defined, to develop a cost-optimized and robust E/E system. Libraries and reuse of designs ensure efficiency in E/E development. Model series or individual vehicles can be derived from product lines using variant management. Seamless interworking of requirements with all development artifacts in the model extends PREEvision far beyond the functions of a classic requirements management tool. 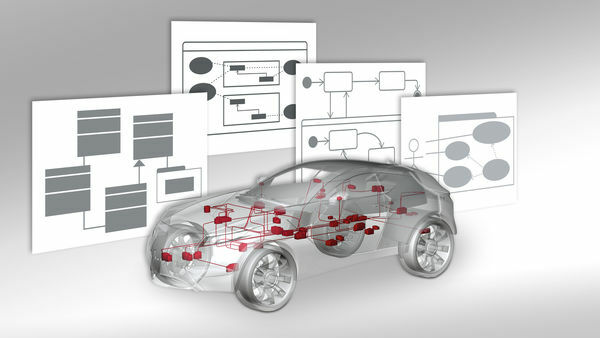 PREEvision is a component of the AUTOSAR tool chain from Vector and supports development of software and hardware architectures and communication design while incorporating many AUTOSAR concepts. PREEvision supports the AUTOSAR compliant communication design of all data elements transferred over the bus. Supported bus technologies are CAN, CAN FD, LIN, FlexRay and Ethernet. 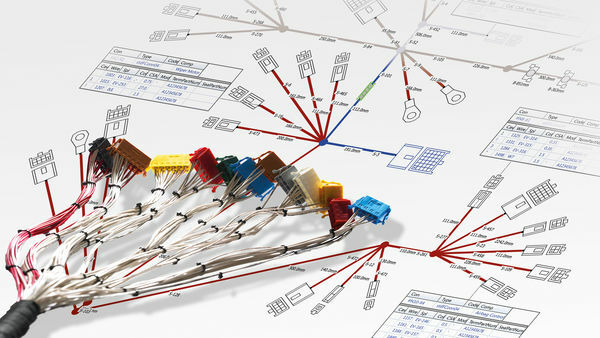 Designing Ethernet networks and clusters including the corresponding communication. The model-based engineering environment also enables service-oriented architectures for embedded software systems. AUTOSAR Adaptive can be used to model powerful and flexible E/E architectures. PREEvision supports system design for the Adaptive Platform with multiple diagrams and a dedicated user interface. For finding cost-optimized solutions, PREEvision supports wiring harness engineers with functions to evaluate different alternatives, to optimize designs and to define the final wiring harnesses in detail. To minimize the effort for development and maintenance of safety-related systems as per ISO 26262, PREEvision offers consistent development support for the entire safety process. PREEvision supports test engineering, control of tests and management of accumulated test data across the entire E/E development process. This assures quality in all phases of an E/E project. Cross-location multi-user cooperation in E/E engineering projects: The PREEvision Collaboration Platform provides project and development teams with common access to required data without conflicts. To steer E/E projects and to carry out changes during a project, PREEvision provides an integrated process support consisting of project, change and release management. The AUTOSAR Adaptive Design Workflow in PREEvision. PREEvision 9.0 enables developers to model their E/E systems based on AUTOSAR Adaptive Platform. Whether engineers are designing service interfaces and applications, instantiating services or describing Ethernet communication via SOME/IP – this latest version provides comprehensive functions for these tasks. Data exchange is simplified by import and export functions for the Adaptive System Description and other work products of AUTOSAR for the new generation of high-performance Electronic Control Units. In addition to its well-established concepts for variant management, PREEvision now also allows variant management according to AUTOSAR. PREEvision supports AUTOSAR feature models, feature selections and feature maps to define the range of possible variants. With system constants, post-build variant criterions and variation points, predefined variants can be designed, activated and highlighted. Dedicated new diagrams are available for feature maps and variation points. Table based editors complete the specification of AUTOSAR variants. PREEvision 9.0 offers additional SysML and UML diagrams as modeling tools. PREEvision 9.0 offers additional SysML and UML diagrams as modeling tools for functions, including those that will be deployed in service-oriented architectures. Designers can use the class diagram, for example, to model interfaces and data types. The state chart diagram graphically depicts a system’s mode of operation. The two new diagrams supplement block, package and use case diagrams which have been included in previous PREEvision releases. To facilitate cooperation within the organization and with suppliers, PREEvision extends the process support with mechanisms to review and vote requirements and other model artifacts. Agreement projects can be set up by selecting model artifacts and resources that review the respective artifacts. A dedicated chat view allows discussions amongst the participants. For the modeling of entire electric/electronic systems, from requirements to software and hardware architectures to the wiring harness, PREEvision provides a comprehensive data model with dedicated abstraction layers. The PREEvision E/E data model is the foundation for a consistent model-based method of working from the requirements engineering to all the implementation steps. All the aspects of an E/E architecture are modeled in an integrated approach. In adopting this approach, PREEvision follows the three proven systems engineering principles of abstraction, decomposition and reuse and supports the modeling of product lines and product variants with various model layers. Additionally PREEvision provides an integrated process and team support including test engineering and management, support for functional safety as well as tools to manage changes, defects and releases. System designers define use cases and develop customer features and corresponding requirements. Via links and mappings, the implementation of use cases, customer features, and requirements can be traced at any time. In the logical function architecture, the requirements are implemented by logical functions that are connected via ports and interfaces. The resulting function network is the basis for the technical development of hardware and software. In the system and software architecture, software components and their interfaces are modeled. A service-oriented design is possible as well as both a structured software system design and an object-oriented design. The software layer with libraries supports the AUTOSAR Classic Platform as well as the AUTOSAR Adaptive Platform. Additionally, all implementation artifacts can be managed. On the hardware layer, ECUs, sensors, and actuators, their networking via bus systems as well as the power supply and hardwired connections are modeled. On the communication layer, one defines how software components exchange data across hardware borders. PREEvision supports all relevant network technologies including CAN, CAN FD, LIN, FlexRay, and Ethernet. On the wiring harness layer, one defines the physical details of the wiring harness including pins, connectors, cables, and inline connectors. In the vehicle geometry, installation spaces and locations are defined or imported via 3D KBL data. Then routing paths via topology segments including inline connectors are modeled. PREEvision includes support for the complete test process from test engineering via the planning to the evaluation and analysis of test results. PREEvision supports the management of changes and defects via tickets and provides a project and release management. PREEvision supports the complete safety process according to ISO 26262 from item definition to safety case based on the existing model data. PREEvision Architect supports all modeling layers for product lines; PREEvision Function Designer and PREEvision Electric Designer support subareas. The PREEvision Collaboration Platform is the add-on for team operation, change management and product and release management. The PREEvision Server API enables the development of web applications to visualize model contents. PREEvision Architect provides the integrated scope of functions for designing an E/E architecture, ranging from requirements management, logical architecture, and software and hardware architecture, AUTOSAR system design, to wiring harness and vehicle geometry. Model evaluation, optimization and documentation round-out the design process. Also, development to series production readiness is supported in the following areas: consistent description of requirements, specification of functions, components, networks, and definition and maintenance of logical and physical interfaces. Development support for the design of safety-related systems according to ISO26262 as well as test engineering and test management are also included. 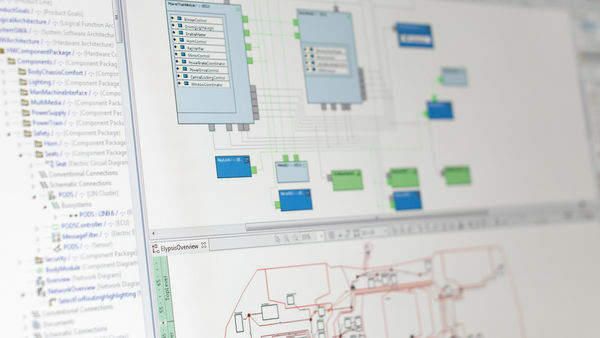 PREEvision Function Designer fully supports the AUTOSAR system design process alongside the description of requirements, design of logical functions, software and hardware components, network architecture and communication design. Development support for the design of safety-related systems according to ISO 26262 as well as test engineering and test management are also included. PREEvision Electric Designer supports requirements management, hardware architecture design, circuit diagrams, wiring harness design, and vehicle geometry. Development support for the design of safety-related systems according to ISO 26262 as well as test engineering and test management are also included. The server-based PREEvision Collaboration Platform enables team operation of PREEvision and includes product and release management as well as change and configuration management. The PREEvision Server API enables the development of web applications to visualize model contents. The REST API allows read access to artifacts including their life cycle state, rich texts, files, diagrams and even metrics without the need of a PREEvision client. The requirements may vary depending on the size of the models and the required use cases! A summary of what is new in each PREEvision release including a brief documentation of the latest functions and improvements contained in the Service Packs. Get the New PREEvision Brochure! The compact way to get to know our E/E engineering solution PREEvision and its comprehensive functions: for both classic and service-oriented architecture development, requirements management, communication design, safety-related system design, AUTOSAR system and software design as well as wiring harness development. In the new, extended edition, the description of Ethernet networks and clusters as well as the development of service-oriented software architectures (SOA) were added as topic. Also introduced: the integrated process support consisting of project, change and release management. It is used to steer complex E/E projects and to carry out changes during a project in a controlled and comprehensible manner. The Vector KnowledgeBase provides useful information about the Vector tools. It contains hints, known errors, procedures how to install software, documentation and other useful information. Vector Congress 2018: E/E–Engineering with PREEvision – Status and Trends (Georg Zimmermann, Vector). Vector Congress 2018: Model-Based Management of Software Platforms (Dr. Clemens Reichmann, Vector). Vector Congress 2018: PEER – The Digitalization of E/E Development (Florian Bruckner, Evobus). Service-oriented architectures (‘SOAs’) have been used for years in the IT industry to describe and structure distributed systems. However, service-oriented design is also becoming extremely significant in the automobile industry: how else can customers’ increasingly urgent demand to adapt the scope of functions of the automobile, similar to the possibilities of today’s smartphones, be met reliably? It is also necessary to handle additional requirements from model maintenance and to introduce technology such as autonomous driving and vehicle-to-X communication. The development tool PREEvision supports the methodical, consistent design of a service-oriented architecture. The user is guided from the definition of the service interfaces, through specification of the interaction of services, to an AUTOSAR compliant Ethernet design through an integrated workflow. If other bus technologies such as CAN, LIN, or FlexRay are also to be used in addition to Ethernet, mixed topologies can also be designed. Thus PREEvision accompanies the system designer through the challenging task of combining classic embedded design with modern service orientation and the necessary back-end communication – and thereby supports the transformation of the automobile into a data center on wheels. The development of modern electric/electronic (E/E) architectures is a challenge today more than ever. Numerous development criteria must be taken into account, and classic vehicle domains need to be linked to new functions in the areas of driver assistance and autonomous driving. Completely new functions that are no longer limited to just the vehicle, but are also provided as services in the "IT backend" outside the vehicle, are emerging here. The introduction of service-oriented architectures and powerful domain computers, Ethernet to on-board communication, connectivity gateways and, last but not least, increasing safety and security requirements represent profound and radical changes for every development organization. To master these complex development tasks successfully as a team, a development platform and E/E database, which can be implemented in different ways, are required. Join two days of exchange of ideas, networking, discussion, and feedback: The PREEvision UserDay is the annual Vector event for the global PREEvision user community. It is all about state-of-the-art model-based E/E engineering. All users and licensees are cordially invited to participate in the event and the accompanying workshops! PREEvision supports the specification, design and optimization of all components of distributed electronic vehicle systems. Our workshops first teach you about the underlying mechanisms and concepts of PREEvision. Vector offers workshops with focus on either function development or hardware design. The annual Vector event for the PREEvision user community all around model-based E/E engineering. Development of E/E architectures and their optimization for more efficient systems, lower cost etc.